^ Perkins, Franklin. Leibniz and China: A Commerce of Light. Cambridge: Cambridge University Press, 2004. p 117. Print. Mungello, David E (1989). 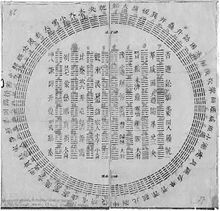 Curious Land: Jesuit Accommodation and the Origins of Sinology. University of Hawaii Press. ISBN 0824812190.